A lovely summery floral creation Pat. Hope it stays dry for the wedding and this evening. You have a busy day ahead Pat, hope the weather is kind, enjoy the wedding and the concert! 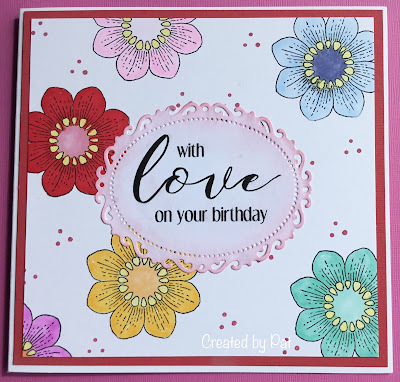 Fab card btw, that stamped background is gorgeous! 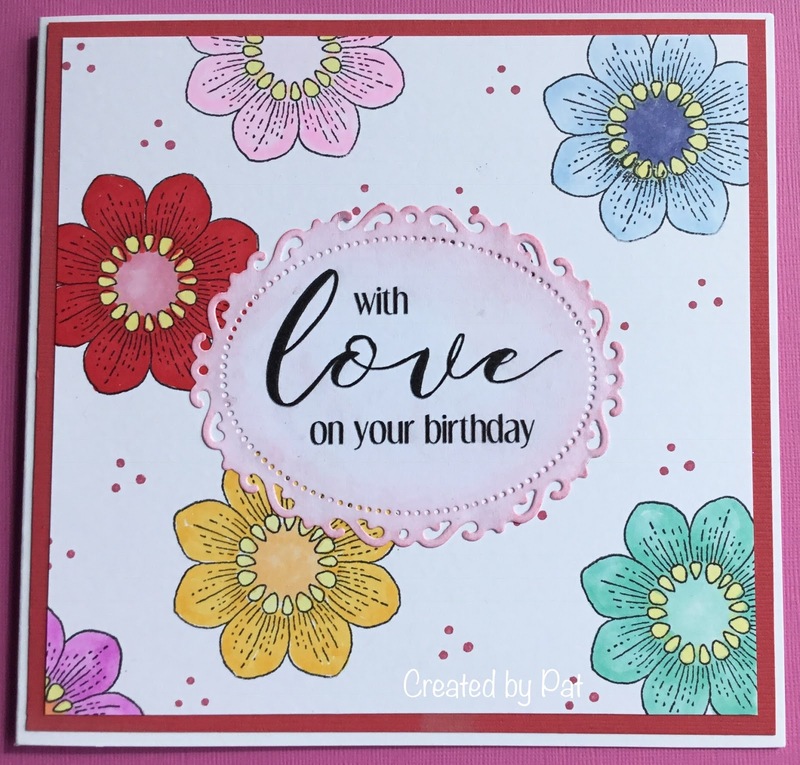 Love your stamped background, gorgeous colours...sounds like you had a good day, hope weather not been to bad for you. Such a lovely card Pat, so pretty. I hope you enjoyed the concert, I'm sure you did.